What’s the Project? 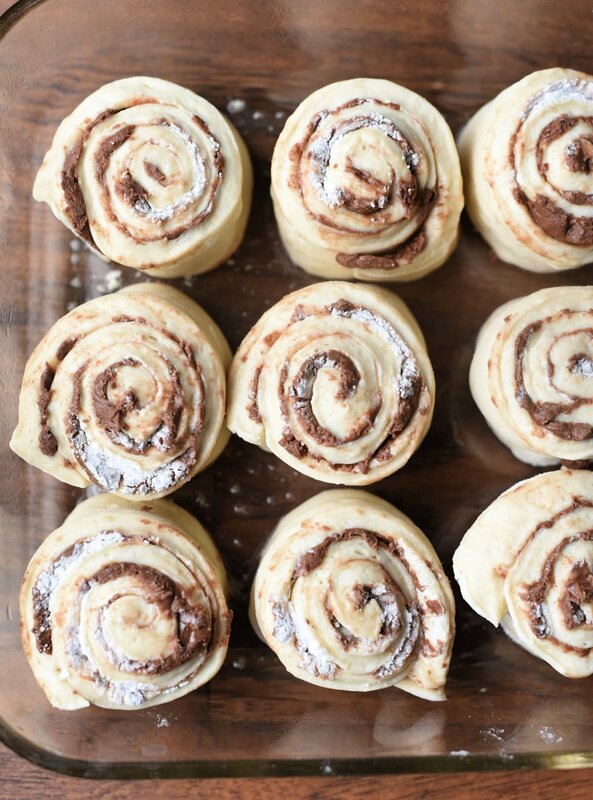 These hot chocolate sweet rolls are going to have you drooling! Chocolate rolled in a soft roll and topped with marshmallow frosting. They make a perfect Christmas breakfast or treat for any cold night. 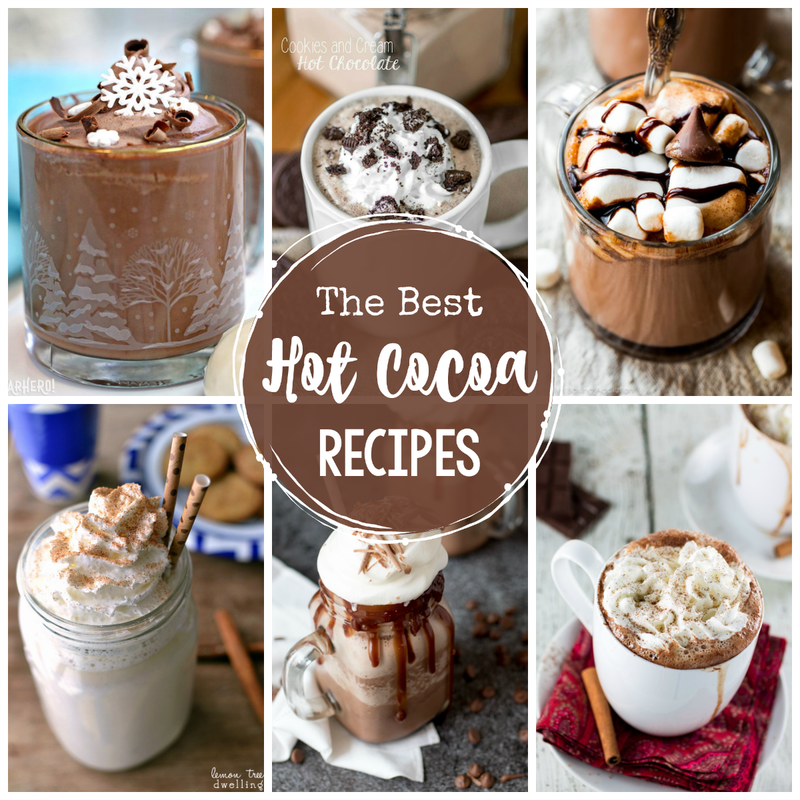 But a cold winter’s night especially calls for hot cocoa, right?! There’s just something so soothing and comforting about it. 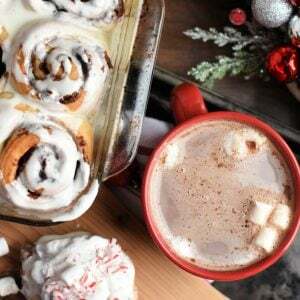 I’ll take hot chocolate in any form and at this time of year the idea of a cup of hot chocolate partnered with one of these hot chocolate sweet rolls might be complete perfection! 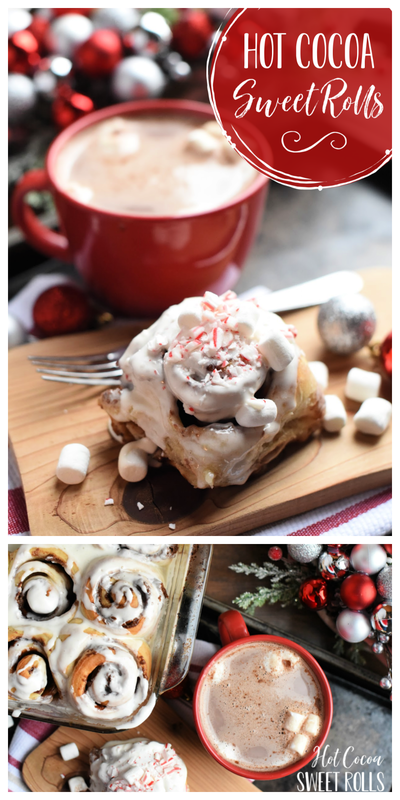 The pumpkin spice cinnamon rolls I shared last month were such a huge hit that I decided to try a similar idea, but with a Christmas spin! And…I’ve got to admit that when I was done with these I gobbled one up. And then a little later I ate another! They turned out amazing and I just couldn’t stop eating them. I think they’d make a great Christmas breakfast for you! Or for any treat at the holidays or in the dreary months that follow. Seriously. I think you’re going to love these! One thing I really love about these is that they are made with Rhodes Bake N Serv rolls, meaning they are quick and easy (I don’t have to make dough), and they taste great! 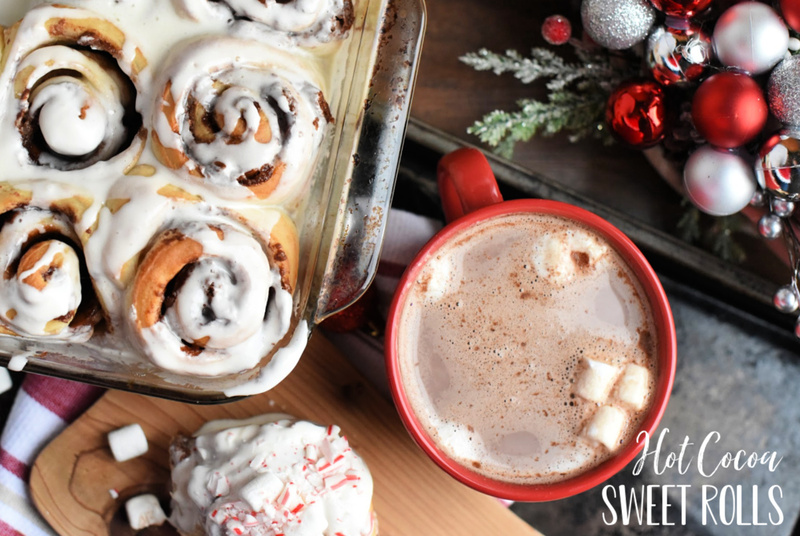 These hot chocolate sweet rolls are going to have you drooling! Chocolate rolled in a soft roll and topped with marshmallow frosting. 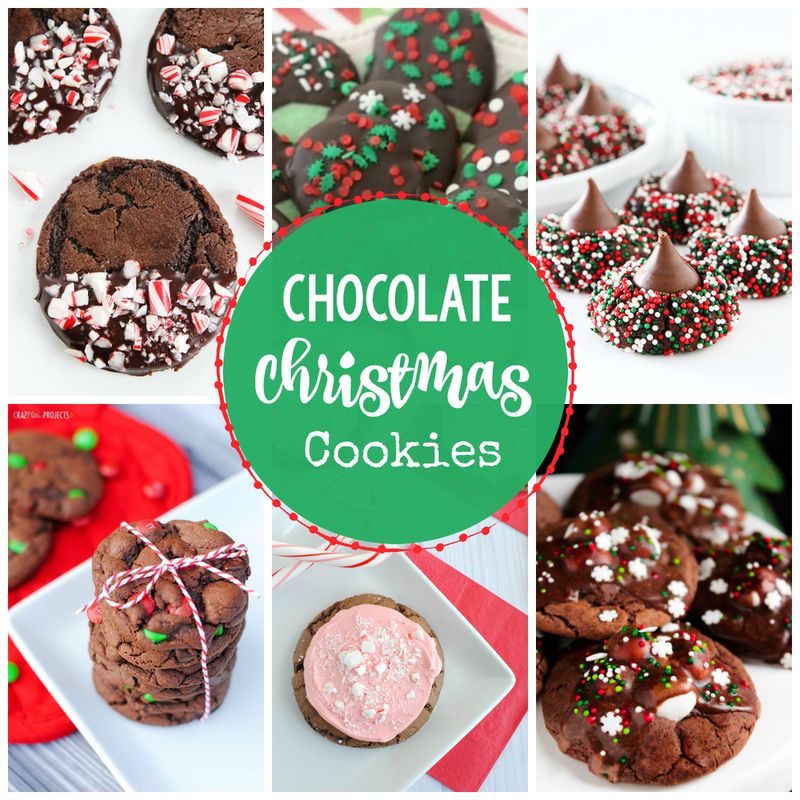 They make a perfect Christmas breakfast or treat for any cold night. 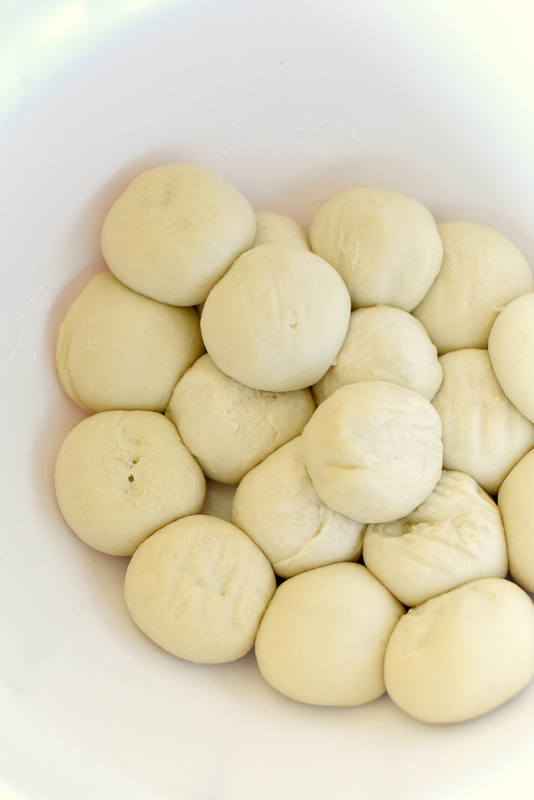 Thaw your rolls in a large bowl for about 5 hours. Sprinkle your counter with flour, grab your roll dough and roll it all out into one large, oval shape, about 1/2 inch thick. Carefully melt your chocolate chips (both the milk and the white) together in the microwave, stirring frequently so that they don’t burn. 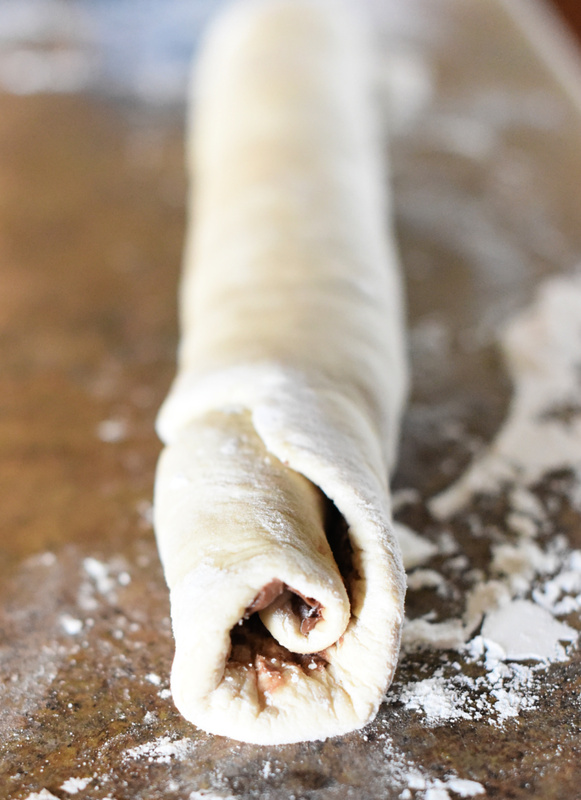 Spread the chocolate over your roll dough evenly so that it covers the whole thing. 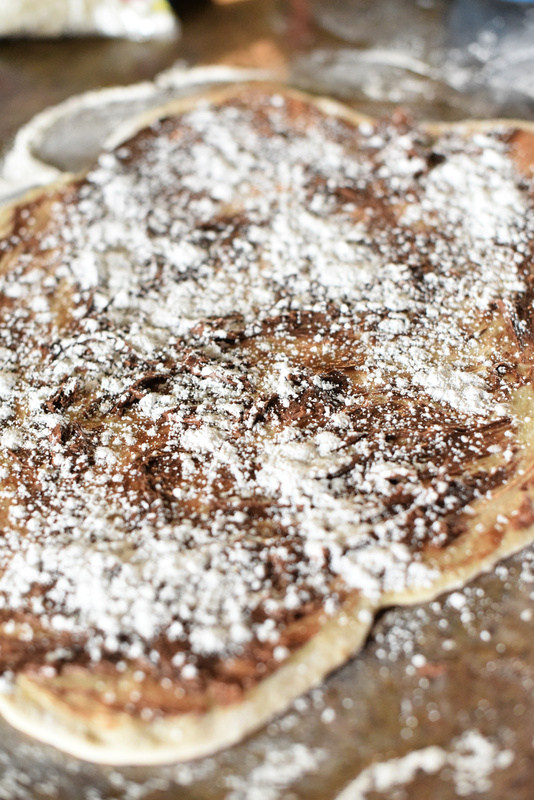 Then sprinkle with your powdered sugar. Roll the dough carefully into a log shape. Then slice it into 9 even pieces and place in a greased 8 x 8 inch pan. Allow your rolls to raise for about 30 minutes. Preheat your oven to 350 while they raise. While they bake, make your frosting by combining all of the ingredients until smooth. When the rolls come out of the oven allow them to cool slightly and then top with the frosting. Add crushed peppermint and mini marshmallows if desired. 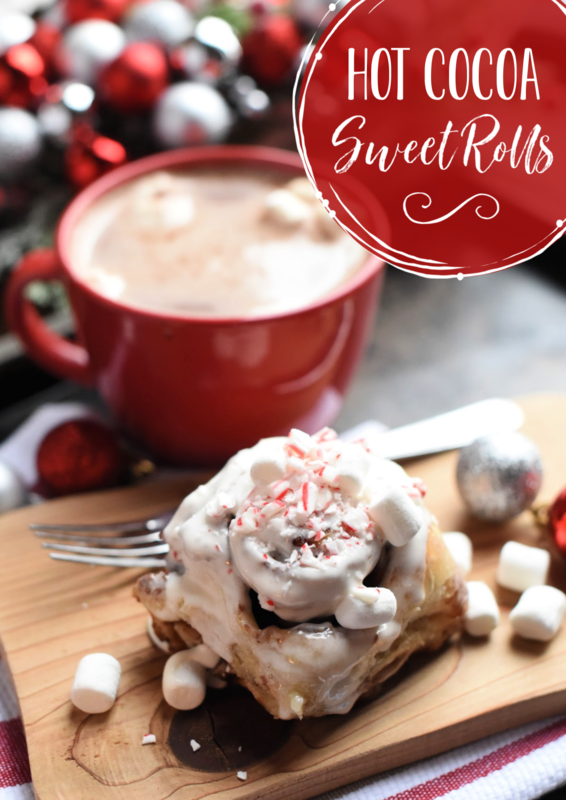 Oh have I mentioned just how good these hot chocolate sweet rolls are?! Thanks for sharing this recipe. I’ll definitely try it out. I’m sure it’s gonna make a lot of sense. 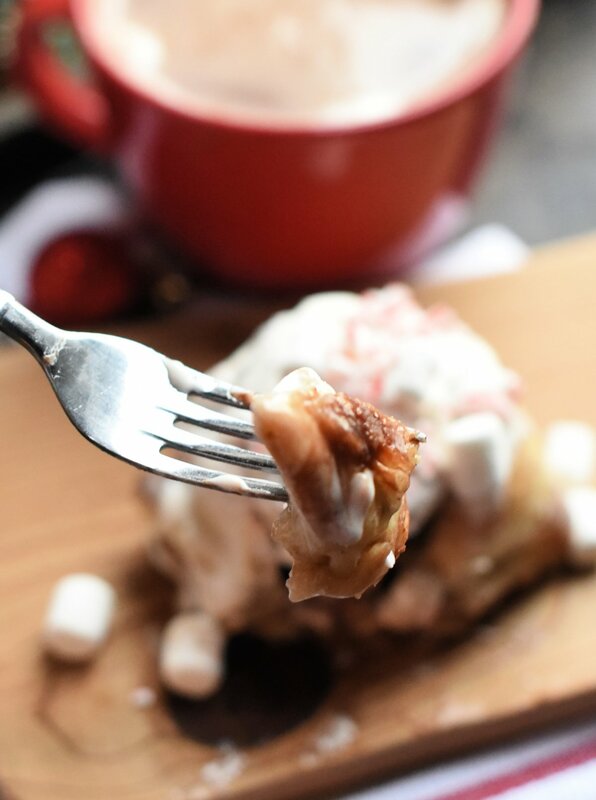 Peppermint on cinnamon rolls? That sounds delicious.